Welcome to our latest blog – Can Anyone Use a Defibrillator? Defibrillators are easy to use and no training is required. Once the defibrillator is collected from the location the emergency services have specified, you simply switch it on listen to the instructions. All defibrillators have the same mechanisms; on button, shock button, battery window to explain how much battery is remaining and a diagram on where the pads go. (Some Defibrillators are automated and may not need to be manually switched on – See video link below). Defibrillators saves lives. Only performing CPR, the casualty only has 10% chance of survival. So why do we do CPR? CPR will help circulate the oxygen and blood flow to the organs and keep the brain alive. Using a defibrillator and with performing CPR it increases the chance of survival by 70%. Defibrillators can be found and are available in public places such as Supermarkets, Community Centres, Gyms, Post Offices, Churches, Airports or leisure Centres. How to Use a Defibrillator! Complete DR ABC survey by Checking; Dangers, Response, Airways and Breathing. If the casualty is not breathing you will need to Call 999. Start Compression’s as soon as you can. Call 999 and ask for a Defibrillator. If you are with someone, they will be told by 999 call handler where the local Defibrillator is to you and the code to open it. If you are on your own STAY with the casualty, continue with CPR and wait for the ambulance to arrive with the defibrillator. Switch the defibrillator on as soon as it arrives. Follow the instructions. Continue with CPR and following the instructions from the Defibrillator. Await for the ambulance to arrive. Here at HMB Training Services, we are very passionate in spreading the awareness on how Defibrillators work. We have opened up a petition to get awareness on how to use a defibrillator on a TV advert. We would appreciate if you can sign the petition to enable discussions in Parliament to happen. Feel free to share the petition with your friends or family. 10,000 signatures are required, and this will help us spread the message ‘Can anyone use a defibrillator’. 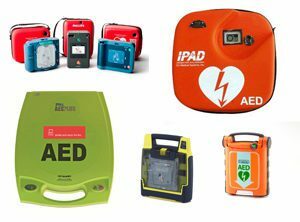 If you would like more information on our courses, or would like advice on buying a Defibrillator we can help. Please feel free to call us on 01543 453338 or 07506 906641. Alternatively email us on info@hmbtrainingservices.co.uk. This entry was posted in AED Training, can anyone use a defibrillator, courses, cpr, CPR Training, First Aid Courses, firstaid, FREE CPR and tagged Put Defibrillator awareness on a TV Advert. Bookmark the permalink. ← How to Treat a Severe Bleeding Injury!